Erin Go Bragh bowl reminds one of Ireland. 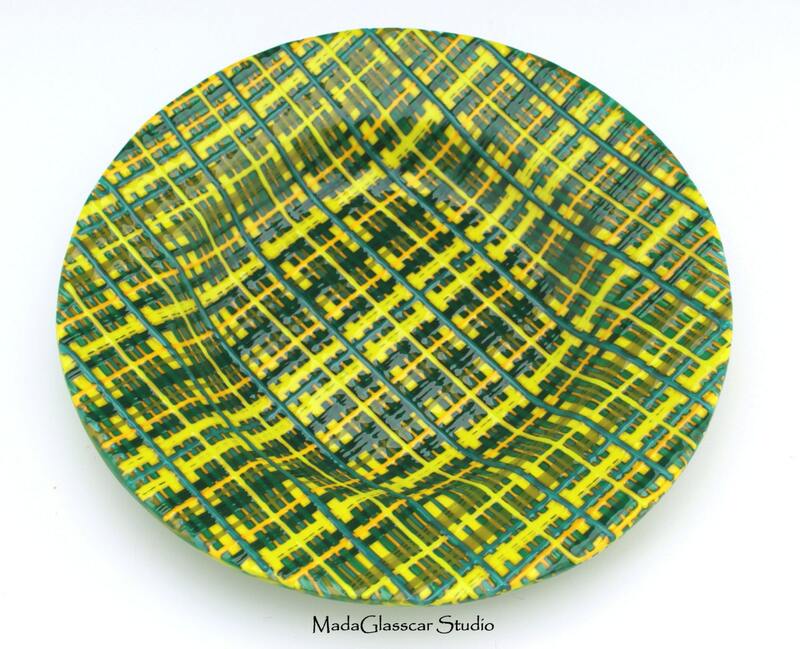 It's made of various colors of green glass stringers (glass threads), placed to give the illusion of plaid or a woven look. It's fused together then slumped into a bowl shape.